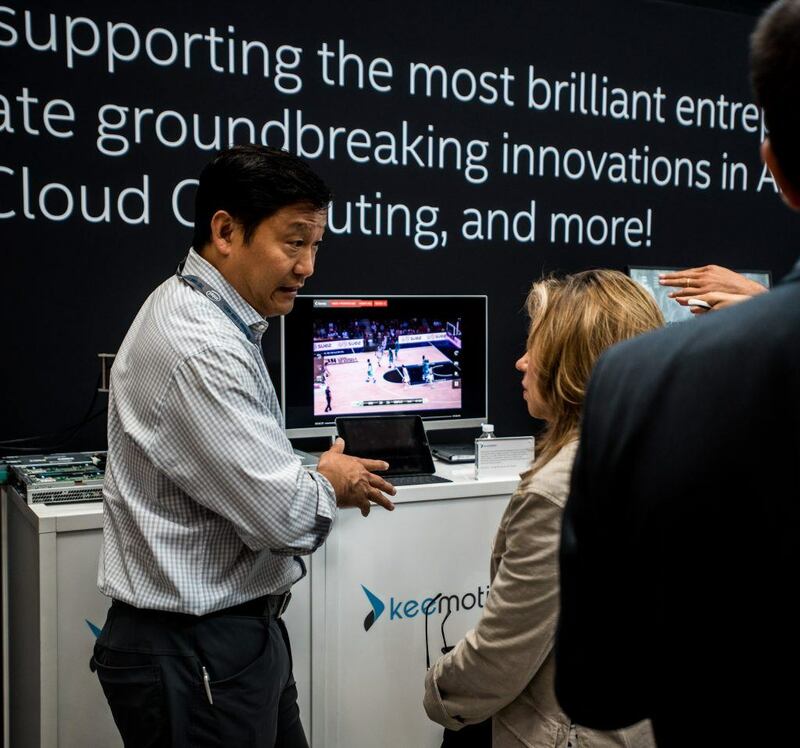 What’s New: College basketball teams are using Keemotion’s* artificial intelligence (AI) solution powered by Intel® AI to capture and analyze live game footage. Team coaches can make adjustments during games and practices in a way not previously possible. This cutting-edge technology helped catapult Yale to the Ivy League title and its fourth NCAA Tournament* appearance. How the Technology Works: Keemotion uses three cameras to capture video of the court, scoreboard and surroundings. The cameras track player movement, following the action as though controlled by a human operator. An Intel® Xeon® Scalable processor-powered server then stitches the footage into a single panoramic view of the court, then the Intel AI algorithm identifies and labels every scoring play and possession, making it easy for coaches to locate and review specific actions in real time. Keemotion’s AI algorithm was trained on the Intel® AI DevCloud, which allowed for multiple models to be verified and fine-tuned in parallel. “By working with Intel Xeon processors, we are able to deliver analyzed, searchable, panoramic video in less than 3 seconds, allowing coaches to have immediate access to a specific play or action,” said Milton Lee, CEO of Keemotion. How It Helps: Keemotion’s solution, powered by Intel Xeon Scalable processors optimized with the Intel® Math Kernel Library software, allows tablet-armed coaches to immediately re-watch a play or focus on a specific point on the court. This provides coaches with the information needed to both make adjustments in real time and understand where their players are and which plays may need more practice.